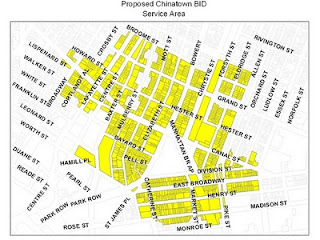 Civic Center Residents Coalition NYC: Chinatown Partnership LDC - Causing a rift with Chinatown's neighbors - NY POST reporting"
Chinatown Partnership LDC - Causing a rift with Chinatown's neighbors - NY POST reporting"
A powerful civic association that's making an ambitious bid to expand the boundaries of Chinatown has created a Cold War turf battle. 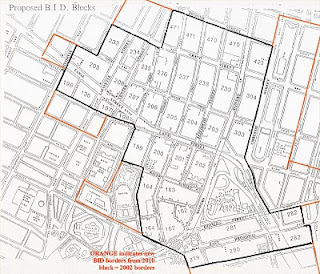 If the Chinatown Partnership Local Development Corporation has its way, parts of Little Italy, SoHo, NoHo, TriBeCa and the Lower East Side would become subjects of the Middle Kingdom. The group wants to create a Chinatown Business Improvement District that would affect all sides of busy Canal Street. But the proposed BID boundaries have neighboring civic associations seeing red. 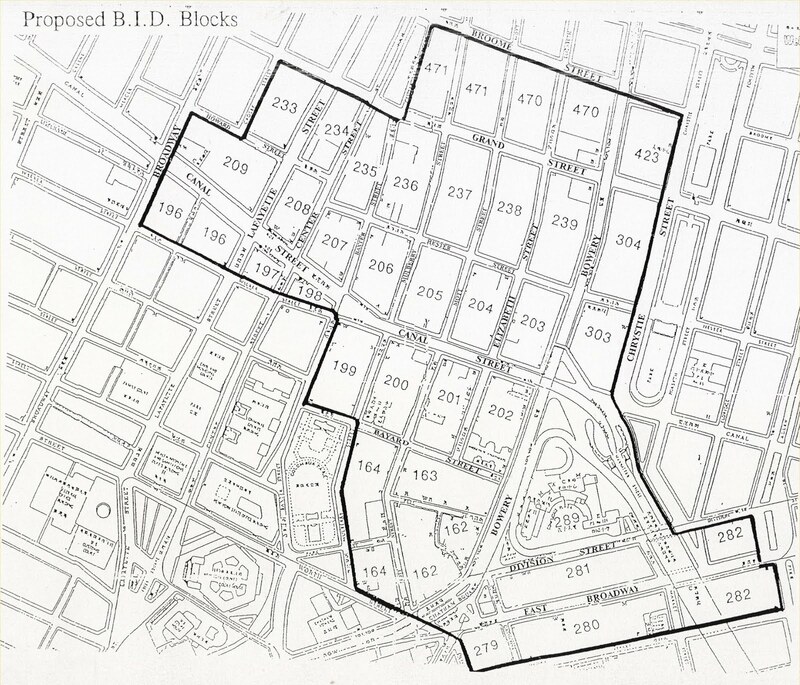 The BID map originally wanted to take over the last two Italian blocks on Mulberry Street -- all that remains of once-sprawling Little Italy -- but it was met with resistance from longtime residents. "We didn't need it. We clean our own streets. We put up our own holiday lights. What good would it do for us?" said Ralph Tramontana, president of the Little Italy Merchant's Association, which has warned the Chinatown Partnership not to invade its turf. Neighboring pockets of SoHo and TriBeCa, however, are still included -- over protests from residents, as well. "Traditionally, Chinatown has always been considered to end at Centre Street, and Lafayette Street is part of SoHo," said Sean Sweeney, a member of the SoHo Alliance. "Yet if you look at the latest BID map from the Chinatown Partnership, they claim west of Centre Street as Chinatown, and it's not." One intersection the Partnership wants to annex, Broadway and Walker, actually bears signs declaring the streets part of TriBeCa East's Historic District, Sweeney points out. 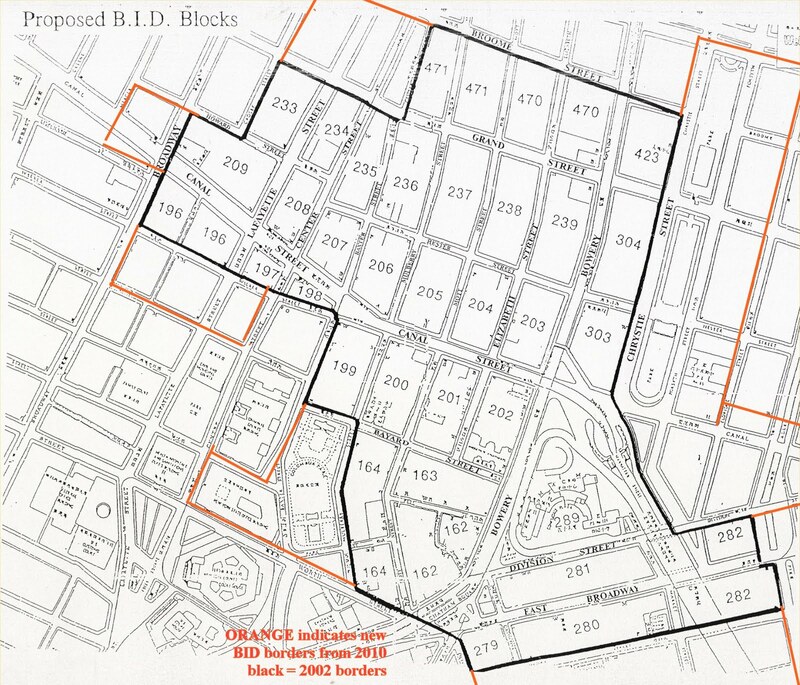 Property owners who live in the proposed BID area -- in SoHo, TriBeCa and along Canal Street -- will have to fund the organization through a new tax on the assessed value of their buildings. Kurt Trenkmann, whose family has owned property between Broome, Grand, Centre and Lafayette streets for over a century, says the Chinatown BID will cost him an additional $22,000 a year in taxes, for services he doesn't need. "Our staff of porters and handymen already clean and tend to the sidewalks adjacent to our buildings. The SoHo Partnership regularly sweeps and collects the small accumulation of residual litter on our block," Trenkmann wrote in a letter of protest to Mayor Bloomberg and city officials. 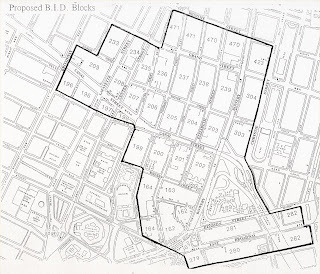 His block is a "well-established" part of the SoHo community, he added, noting that it was included in the SoHo Cast Iron Historic District created by the city two months ago. Wellington Chen, head of the Chinatown Partnership, said his group is working to soothe unwarranted fears. "The reality is, we are surrounded by BIDs, from all sides. 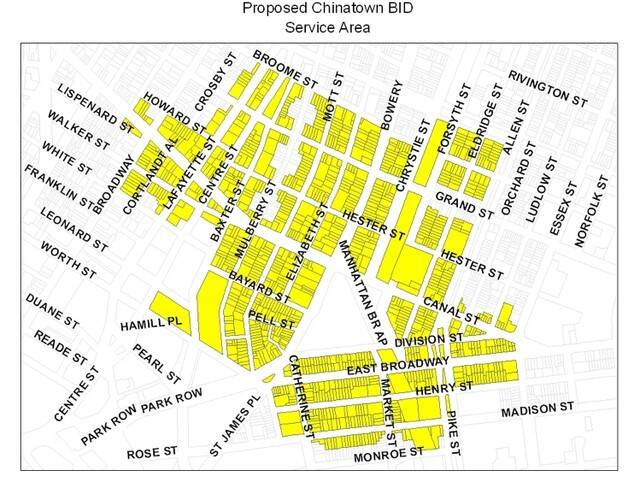 Chinatown needs its own BID," he said. His group has funded its BID efforts through a $7 million grant from the Lower Manhattan Development Corp. -- awarded in 2004 and initially earmarked to create heritage trails and tourist signs for Chinatown. What does all this mean? So, if a business opens in a particular area whose owner happens to be Chinese it is considered "Chinatown" ? That's what it sounds like. It's not a bad thing if the expansion of Chinatown borders or encroaches Little Italy or SOHO, but then the appeal of going to those neighborhoods changes dramatically.